It’s more likely than not the person told a story, they made you feel something and that’s why you remember. Recent neurological research on the way we process information through stories has proven what the most effective leaders and communicators have known since the Stone Age: that storytelling in a powerful and effective way to infuse ideas into the hearts and minds of others for lasting impact. We also know that when you hear a story, more zones of the brain are activated including your emotions and your other senses. Let’s face it, at work, most messages we receive are usually only a collection of facts and figures. These facts and figures will only activate the language processing zone of your brain, no emotions are activated. In the business world, storytelling has become an increasingly used communications tool; it can make complex data accessible, cultivate relationships with products and people, rally teams around a strategy and fuel compelling narratives that shape organizational culture. If you can achieve these things at work through telling stories, then you will enhance your career. Daily in my work in recruitment it is very evident the importance of good work stories. 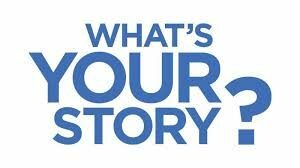 Today’s successful interviews rely on a job seekers ability to answer questions with compelling stories. Employers are more often using competency-based interviews. Behavioural questions are asked to understand how you have acted in real situations in the past. So, have your stories ready, the ones that speak to the heart as well as the mind. 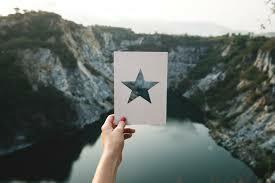 For those of us who aren’t natural story tellers we can use the STAR method to create our interview stories. This method enables listeners to remember more of your answers, and the messages within them, yet your message will be delivered in a friendly likeable style. Your interview success ratio will sky rocket. Your STAR story should be no longer than 2 minutes, must be delivered with enthusiasm and energy about a real experience you have had. Question – “Can you give an example of a time you unexpectedly had to take up a leadership role. Practicing your stories out loud is essential. Letting other people hear them before an interview is the best preparation. If you can’t convince your friends to listen or you need help to craft and prepare for your interview stories there are people who can help. For example, www.interview.co.nz. Interpersonal Skills – do you have them?